Ideal charging / discharging percentage for maximum battery life? One of my friends has a relatively new Samsung smartphone. He has this app that notifies him whenever the charging is up to 80%, and tells him to unplug the charger. He tells me that it will increase the number of charging cycles for his battery. He says that if he lets it charge all the way up to 100%, it will mean he has to replace the battery of the phone more often. Here's a related answer which taught me something about this. 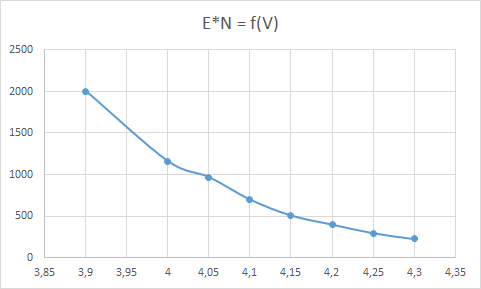 This voltage as per Table 4 ( above ) corresponds to battery charge level at 58 ℅ . 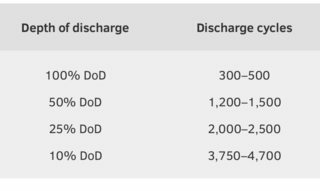 This is clearly impractical and the recommendation of your friend to charge to 80%, more than doubles the discharge cycles . A good metric of battery life is the total energy it provides during its lifetime, which is number of charge cycles*capacity at full charge. If your phone uses X Joules a year and the battery is able to provide Y Joules over it's lifetime, it will last Y/X years. It should be noted that this is not an original research uncovering a conspiracy of phone manufacturers. Cellphones simply are not expected to last more than a few years, and 400 cycles is plenty for that purpose. Batteries which have to last longer (e.g. in space probes) are using cycles with 30-50% depth of discharge. Whether charging your phone to 60% of its capacity makes sense is debatable. If your phone has a small battery and needs to be charged every day, you simply don't have some 40% of capacity to spare, and having to charge twice a day is not practical. On the other hand, I have one of those Energizer-branded phones with a beefy battery, and charging it twice a week instead of once a week is totally viable. 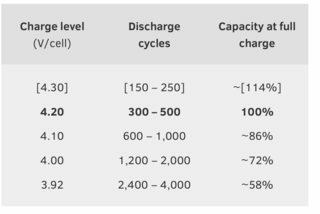 Of course, there are other causes of battery ageing and failure than charge/discharge cycles, so the net impact on battery life will probably be smaller than this data predicts. Plus, cellphone charge controllers are designed to work with 100% discharge capacity and may work incorrectly if they hardly ever see the battery charged to 100% or discharged to 0%. It is true, as long as we're talking Lithium Ion-batteries. The smaller charge, the more longevity. I've read the best for maximum longevity would be to charge to 75% and never let it discharge below 65%. That is impractical, however, as it kills your mobility. 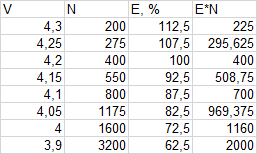 What i do is to try to charge to a maximum of 85% and never discharge further than 20%. Feels good to me. Not the answer you're looking for? Browse other questions tagged battery charging battery-life or ask your own question. What is the best state to leave an Android device in? I have an unrooted stock Xperia Z Ultra, should the LED turn off when the battery is fully charged? Is battery calibration important for Android phones? Is slow charging bad for the battery?